Parts of Mchinji, Mzimba, Kasungu and Rumphi districts have been declared to belong to Zambia during the border re-demarcation exercise. Minister of Lands, Housing and Urban Development Jean Kalilani told Parliament in a ministerial statement that the physical demarcation of border lines started on a pilot basis in 1993 and boundary inspections have been carried since then. Kalilani advised Malawians residing in the affected areas against changing their nationalities from Malawi to Zambia. The Minister said the government of Zambia and Malawi had agreed that until a new border treaty come into effect, local people should remain where they were before the demarcation. “The two governments will agree on the way forward after receiving all the reports on the exercise, including a report on the impact assessment study. I, therefore, propose that the affected people should maintain their nationality and be allowed to register upon verification by local leaders,” said Kalilani. 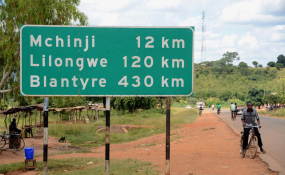 People living near the Malawi-Zambia Border in Traditional Authority (T/A) Chindi in Mzimba have been living in fear due to a wrangle with their Zambian counterparts over border re-demarcation exercise. The wrangle affected learning, as some chiefs allege that Zambians destroyed Byembye Primary School which was initially in Malawi but is now in Zambia after the re-demarcation. Inkosi ya Makhosi M’mbelwa V pleaded with government to intervene in the matter. According to Kalilani, the Zambia and Malawi governments have put in place a strategy to meet regularly and resolve any emerging issues while the exercise is taking place.